Rustic sophistication is waiting for you in this mountain retreat. Custom built one owner home has never been rented. It was constructed in 2012 using many upgraded materials: Stone fireplace, wide oak floors (harvested off the property), local soapstone counters, stainless steel appliances, hickory cabinetry, tile baths, surround sound & stereo, and so much more! Three comfortable bedrooms and baths with a family room on the lower level that walks out to a concrete patio that has been wired for a hot tub and plumbed for an outdoor shower. Spacious deck for entertaining. Owners added mature evergreens to add color year round. Low maintenance and energy efficient! Directions: From Gatehouse follow Wintergreen Drive to the end. Turn right onto Laurel Springs Drive. Follow to Stony Cove Ln on the right. First home on the right. 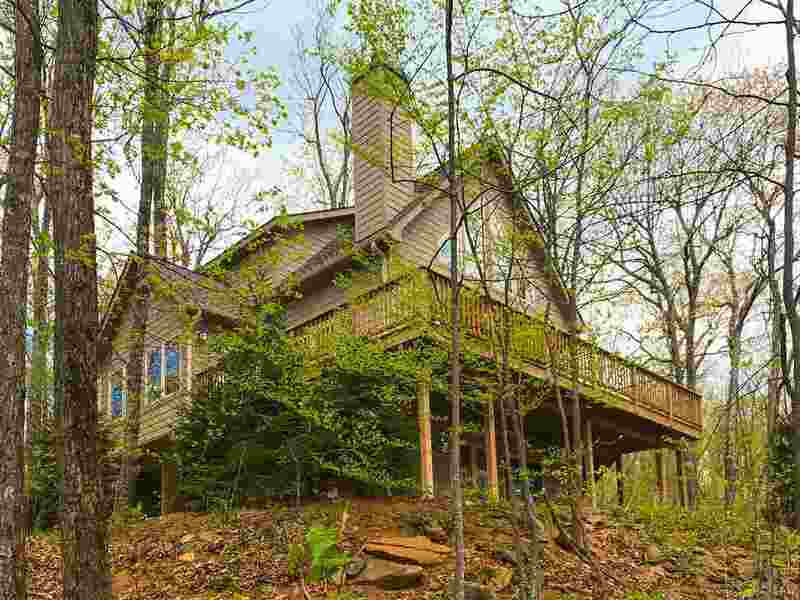 Please, send me more information on this property: MLS# 583531 – $339,900 – 16 Stony Cove Ln, Wintergreen, VA 22967.